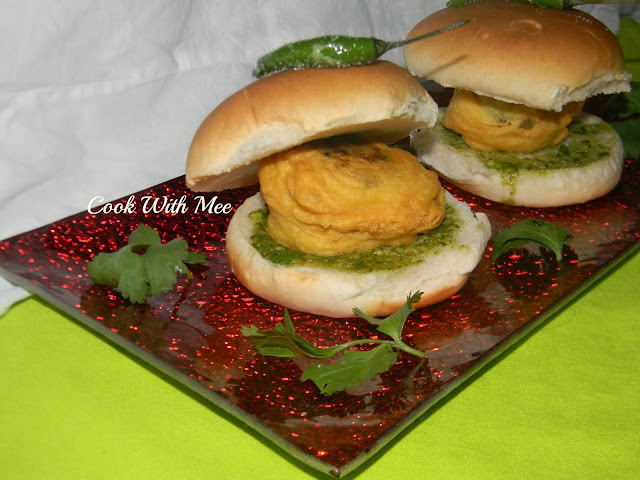 “BURGER” we all are very familiar with the name and we all love it so much but how many of you like the Indian BURGER. Am I sounding crazy but I don’t think so because the very old Indian burger is VADA PAV. 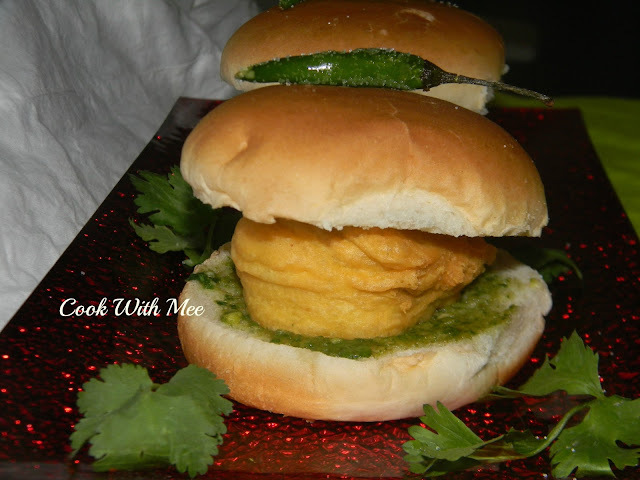 The most famous street food of Mumbai and all over in Maharashtra , and I think this BURGER invented before the English Burger. 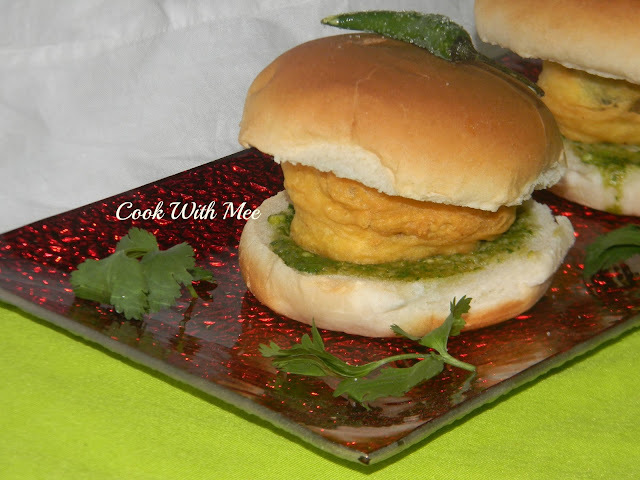 First I had this VADA PAO in Pune, they were so yummy and tasty. 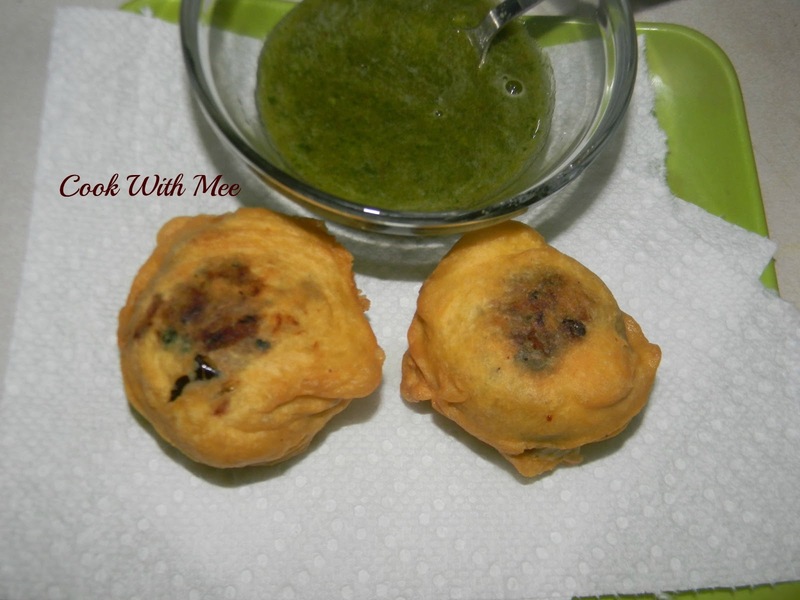 And this one easily you can prepare at home for evening snack. 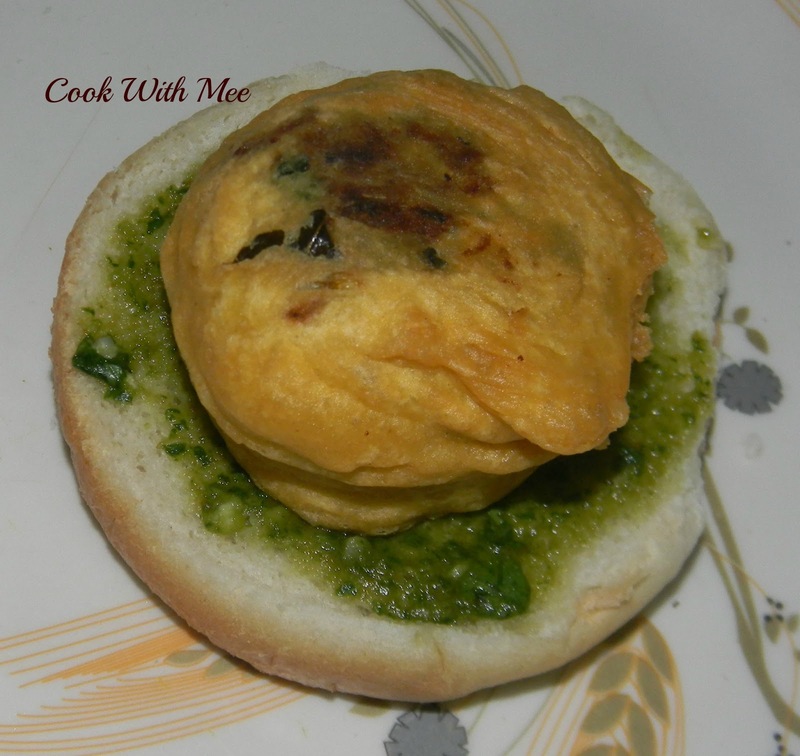 Homemade food are always best than the outside food so this one will be a very good option for our kids. 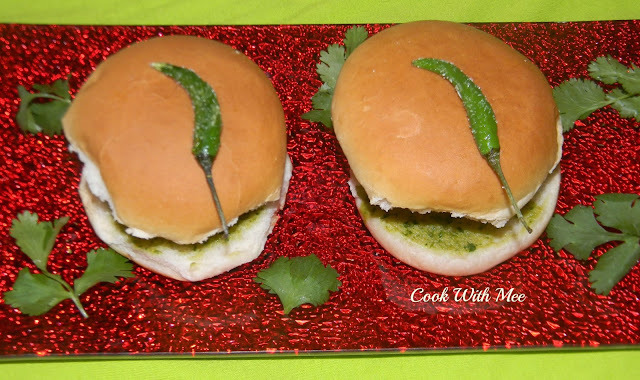 And I made some coriander chutney to spread on the bread. 4.Chopped coriander leaves (A hands full). 5.Pinch of chaat masala, Pinch of red chili powder. 8.Half tea spoon garlic paste. 10.One table spoon sunflower oil. 1.Two table spoon besan or gram flour. Burger Bread. Four green chili for garnishing. For Coriander Chutney: Chopped coriander Leaves ( A hands full), One clove garlic, One green chili, One tea spoon tomato puree, Pinch of salt. Smashed the boiled potato and add the chaat masala, red chili powder, salt, sugar and coriander leaves and mix nicely. Now take one vessel and add one table spoon of oil, then slowly add the mustard seeds and curry leaves when they start popping add the chopped onion and stir for some time. some small balls with the mixture. Now make a thick batter with all the outer coating ingredients. Now dip the potato balls into the batter and dip fry them till both the side turn little brown. Add all the chutney ingredients in a grinder and make a smooth paste. 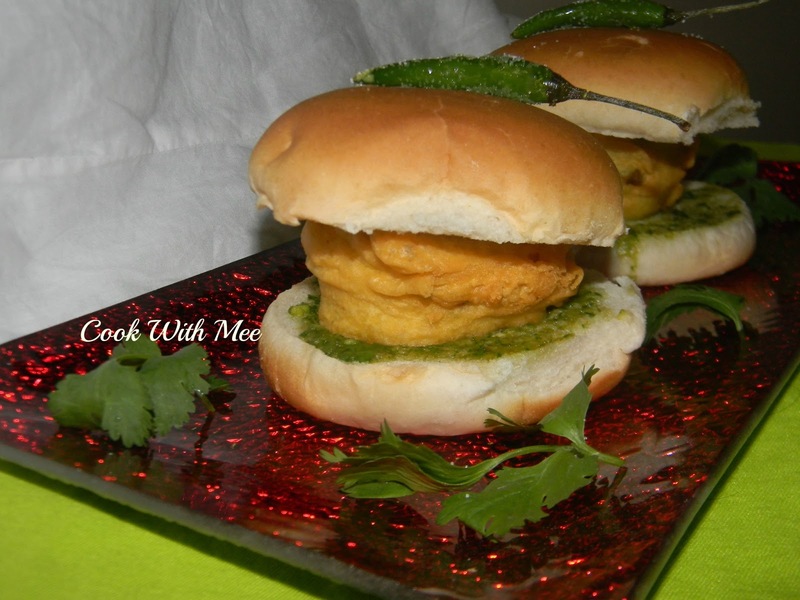 Now take one bread spread the coriander chutney into the bread and put the Vada on top of the bread and keep one bread on top of that. Serve hot with lightly fried chilies.